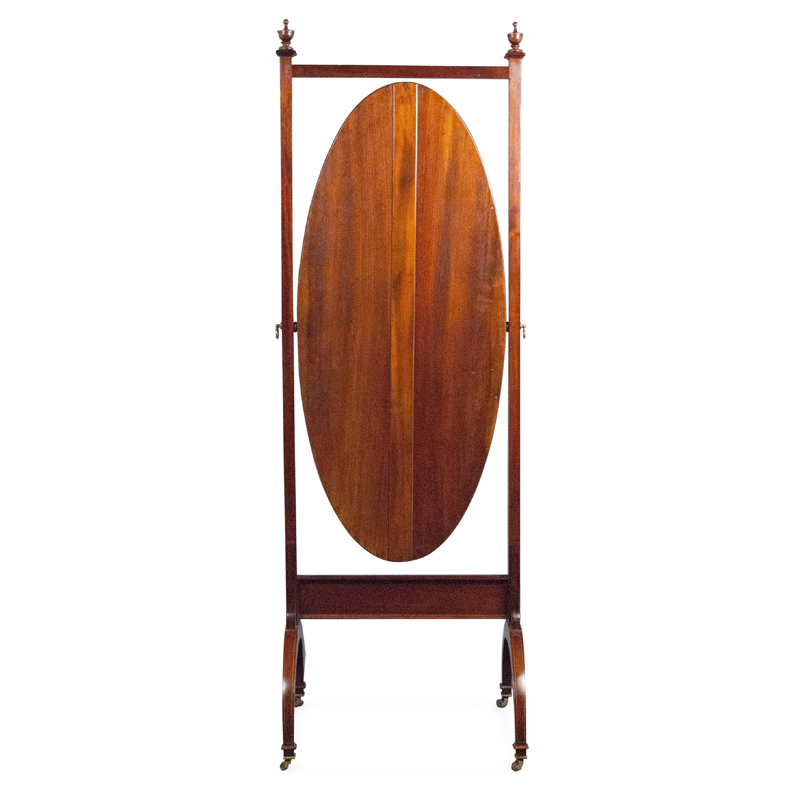 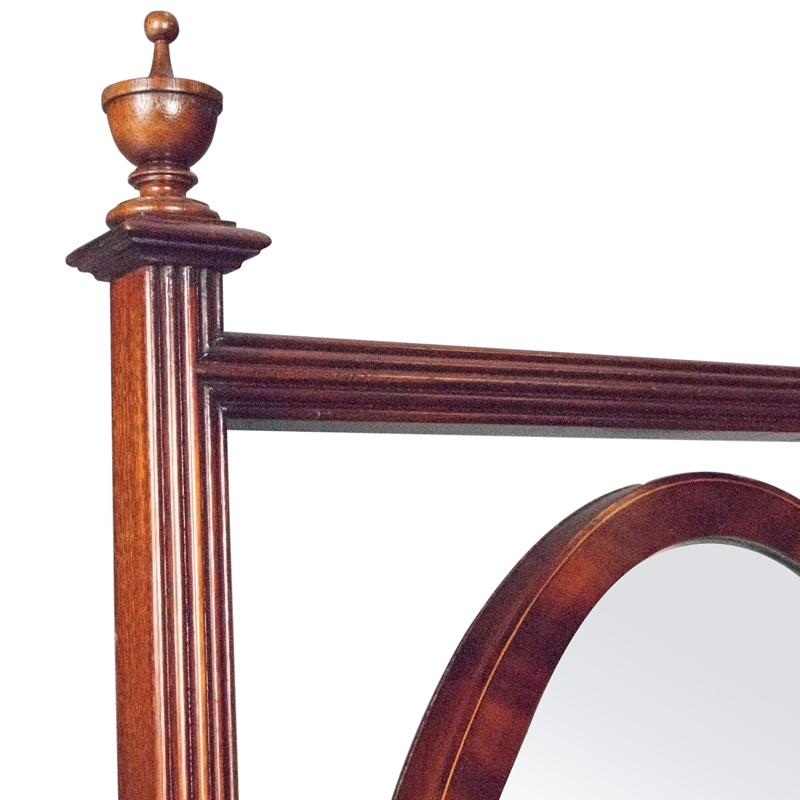 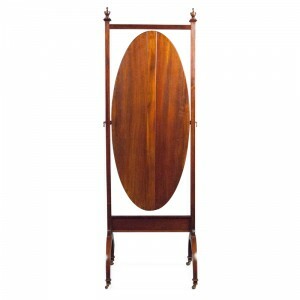 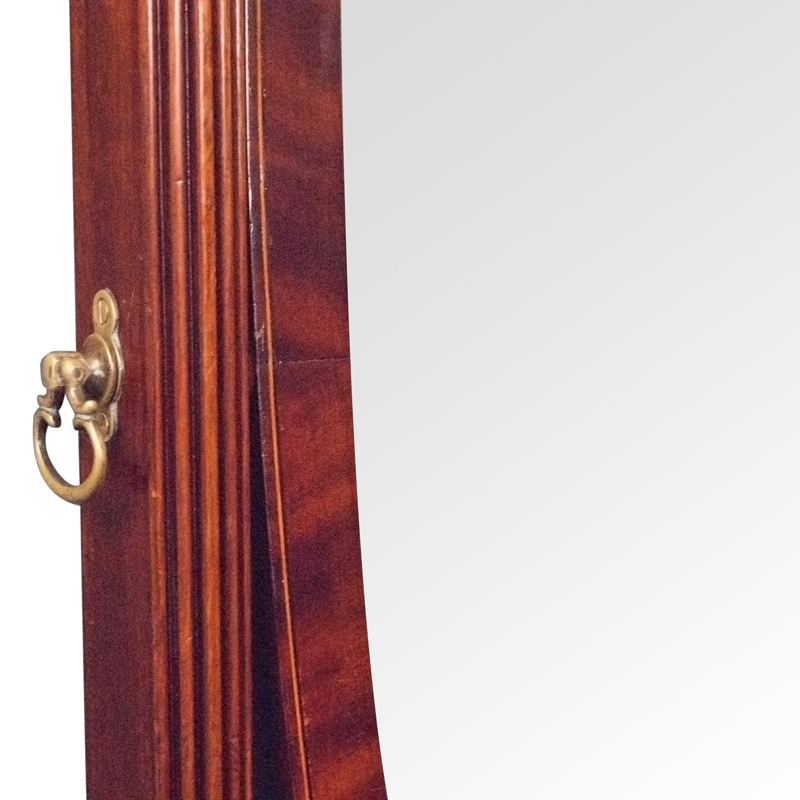 Elegant and fine quality Edwardian mahogany Cheval mirror with boxwood line inlay, blind fret decoration, urn finials, original mirror plate, and original brass castors. 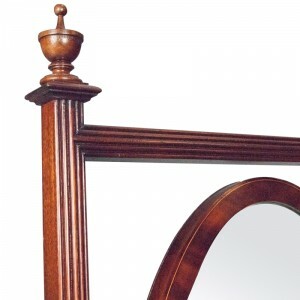 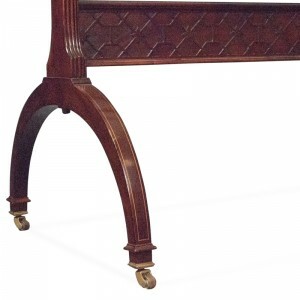 This item is in excellent original structural condition. The polish has been refinished by our own craftsmen, by hand in the traditional manner. 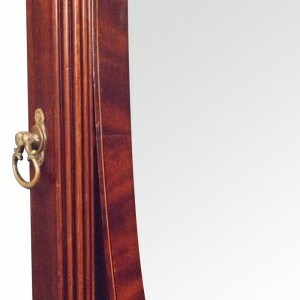 There are some old marks underneath the polish, but all extremely minor. 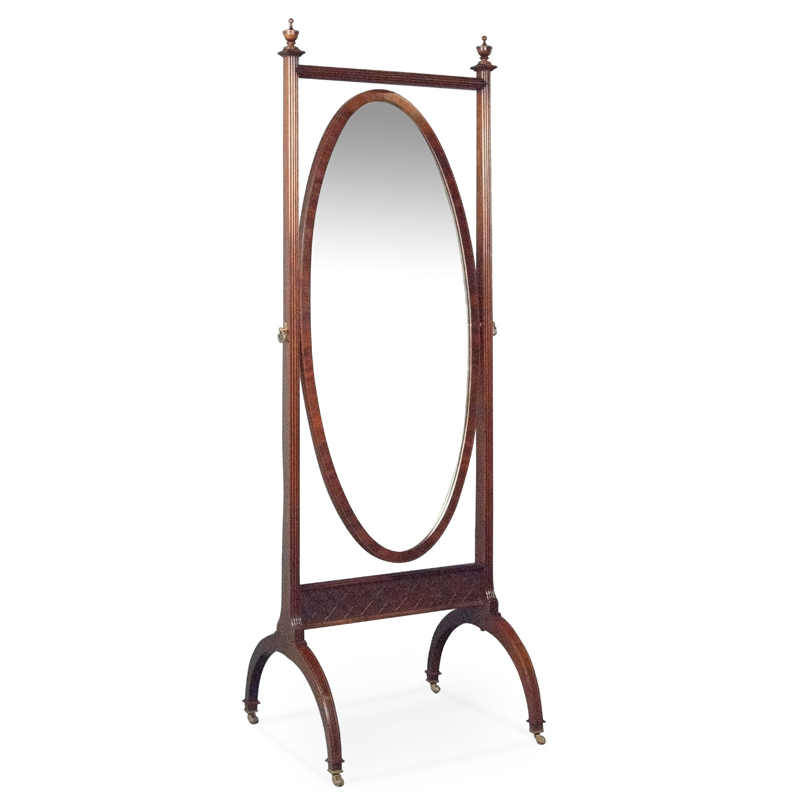 There is some foxing to the mirror plate; it is thus not pristine, but perfectly useable.